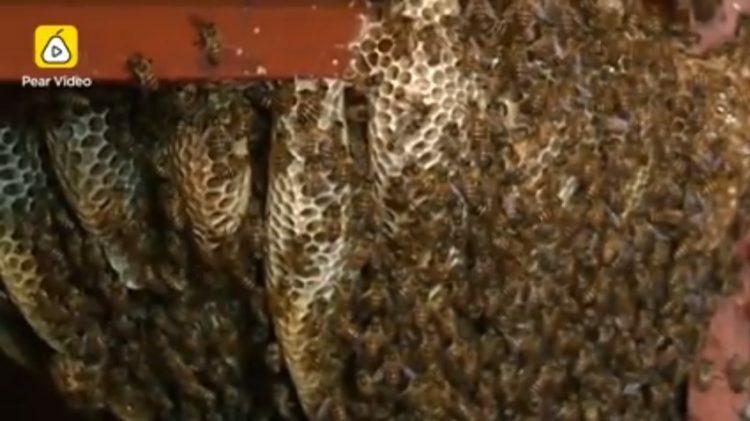 The sight of a single bee buzzing around is enough to drive some people into a frenzy, but one family in China has somehow been living with an entire beehive in their living room for 12 years. They even collect the honey from it and sell it for a small profit. Remember the BEEcosystem, that observational beehive that lets you keep bees inside your home as pets? Well, it turns out you don’t need it. You can just let bees build their own beehive on your furniture and let them fly around freely. It sounds crazy, but one family in China is proof that it can be done, and not just for a few days or weeks, but over a decade. A Pear video that recently went viral in China shows a home in Gunagnan, China, where bees have been living inside the wooden furniture for 12 years. Owner Yongfu Li says that they simply came in one day and started building their hive. There was a wedding in the family that day, and he viewed the arrival of the bees as a good omen, so instead of driving them away, the man just allowed them to build a home inside his living room. Taking the fengshui interpretation to heart, Yongfu Li let the bees build their hive and started collecting the honey they produced, three times a year. He ends up with about 5 kg of honey every time, which he then sells for around 100 RMB ($15) a pound, raking in a total of $450 a year. Not a bad deal, if you exclude having to share your house with hundreds of bees. 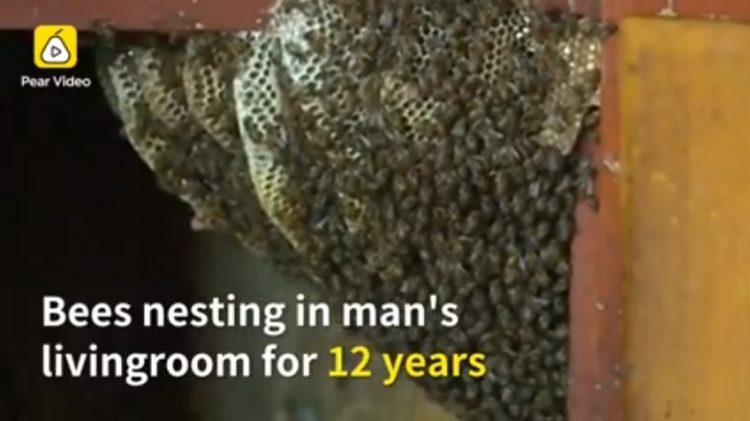 Li has now been sharing his house with a free colony of bees for 12 years – or so he claims – and even though the video doesn’t mention any bee stings, I think it’s fair to assume that the man and his family have been stung a few times during that time.